Let’s get straight to the point: is Tamil a difficult language to learn? Anybody who attempts to learn Tamil—or any language for that matter—would have hiccups early on. It is a matter of correcting mistakes as you keep learning and honing your skills every time. Learn the 18 consonants, 13 vowels and 6 Sanskrit supporting letters first and the rest will fall in place. Learning 13 x 24 letters will then be a cakewalk for you. Luckily, there are no 4 Ka, 4 Ta, 4 Cha, 4 Pa and 4 Tha in Tamil script. Tamil script has only one Pa, Tha, Cha, Ka and Ta. This would save precious time in learning those additional 15 x 13 letters found in other Indian languages. 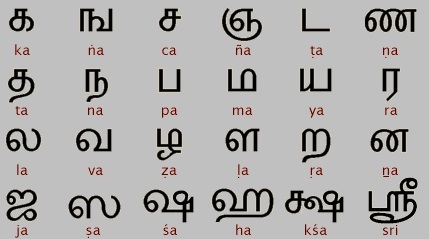 There are a few additional letters in Tamil such as ‘NA’, TRA and LZHA. Totally, you can find 3 NA’s in Tamil, and that is an addition of studying 3 x 13 letters. This said the combination letter of consonants and vowels is fairly simple. You can find a few letters that are quite distinct in VOO and VU sequence. There aren’t any jumbled and combined letters. That’s a bit of relief! Other Indian languages like Sanskrit or Hindi don’t fail to confuse you with a combination of two or more letters. Tamil language, as a result, boasts a lot of shorter words that are easily understandable. You need to pronounce the letters straight (like other vernacular languages). This makes Tamil quite easy to read, write and speak. Having difficulty learning Tamil, all you need to do is download our app Wordsmith Online Tamil Dictionary, one of the largest free dictionaries online, available in Android and iOS, comprising over 50,000 word entries, whether you are a newbie to learning the language or an expert learner.